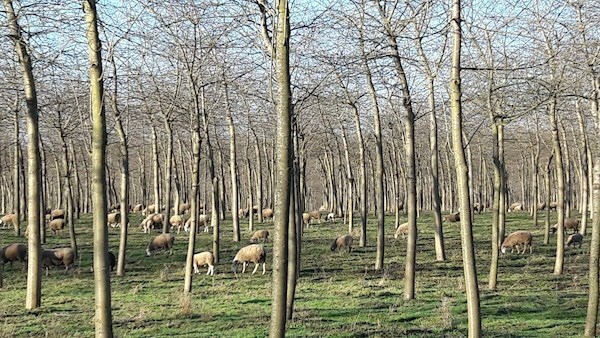 Agroforestry will help farmers comply with environmental conditionality measures for receiving EU payments, writes Diarmuid Cohalan. In France, agroforestry has become extremely popular, especially among tillage farmers, who claim that tree-rows in tillage crops improve the uptake of nutrients and provide shelter, resulting in higher crop yields, especially with maize and winter cereals. 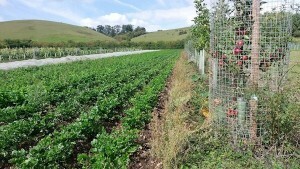 Here in Ireland, after 2020, agroforestry will be a way for farmers to comply with the new environmental conditionality measures for receiving EU payments, without committing a lot of their land to long-term commercial forestry (they could convert a relatively small part of their land to agroforestry, or join the Forestry for Fibre or Native Woodland Schemes). Two years from now, conditionality will link all farmers’ CAP income support closer to environment-friendly and climate-friendly farming. The European Union is committed to having no further negative impact on climate change after 2050, having signed up for it in the Paris Accord. There is no exception to this. That is why greening of the CAP came in the 2013 reform. But greening did not work, admits Commissioner for Agriculture Phil Hogan. His 2020 CAP proposals make payments conditional on more than 20 requirements for all farmers, for example, drawing up a farm nutrient management plan. 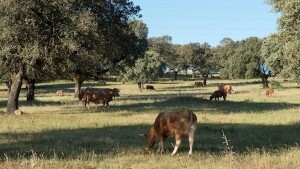 There will also be eco-schemes, optional for farmers, which might, for instance, support organic farming. Also proposed are rural development payments for particular agri-environment-climate commitments in farming or forestry, again voluntary for farmers. And member states can use rural development budgets to fund other intervention relevant to the environment and climate. Member states must spend at least 30% of their rural development budgets on the environment and climate, plus a possible 15% without national co-financing, coming from direct farm payments. Already there is anxiety among farmers about the stricter environmental measures in the reformed CAP after 2020, especially in Ireland, which is on course to fall short of 2020 EU emission target commitments, which puts farmers in a bad place because 33% of our emissions come from farming. Agriculture Minister Michael Creed has forewarned farmers about the environmental conditionality attached to CAP payments after 2020, suggesting in an Irish Examiner interview last August that all farmers must plant some of their land with trees, if Ireland is to avoid multimillion-euro fines. There will therefore be a compelling obligation on all farmers to ensure that emission-based production quotas don’t become the norm across all farming sectors. This makes planting forestry or trees, in some form, a viable option, with the help of the substantial planting grants already in place, which include €6,200 per hectare for agroforestry planting and maintenance, followed by €645 per hectare in premiums for five years. The Forestry for Fibre scheme offers establishment and maintenance grants of €3,815 per hectare, and premiums of €520 per hectare for 15 years. The Native Woodlands scheme offers establishment and maintenance grants of €5,880 per hectare and premiums of €680 per hectare for 15 years, plus a once-off upfront €1,000 per hectare from the Woodland Environmental Fund when the plantation becomes established. The main advantage of these three forestry options is that the main farming enterprise is only minimally affected. With the new heat incentive scheme now in place, it is predicted that a much greater market for biomass woodchip will emerge, allowing participants in the Forestry for Fibre scheme to supply biomass from their fast-growing trees such as eucalyptus and willow. For this scheme, the minimum eligible area is only one hectare. With proper site preparation, agroforestry has good potential on Irish dairy and livestock farms. For example, you could continue to farm the land between agroforestry tree-rows, for fodder production, or grazing with sheep and small cattle. It also has advantages for tillage farmers. Addressing the Joint Forest Europe Conference in Budapest in October, Eugene Curran of the Forest Service set out the official Irish thinking on agroforestry: “In 2010, the Department of Agriculture Food and the Marine decided to investigate the potential of agroforestry in Ireland, and a grant aided agroforestry measure was introduced to the afforestation programme in 2014. “Agricultural intensification has raised concerns in Ireland over the level of emissions and other possible negative environmental impacts. 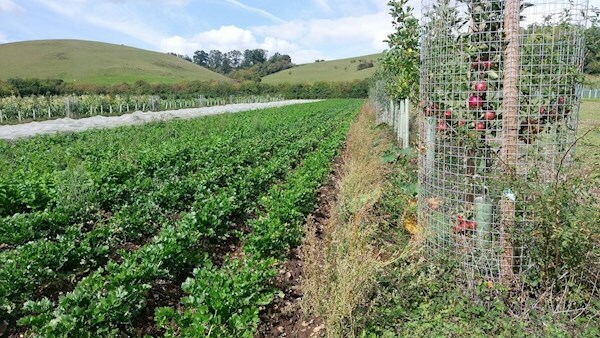 Due to the favourable environmental, economic and aesthetic benefits that accrue to agroforestry, enhancing land holdings in environmentally sensitive areas, agroforestry has great potential in Ireland’’. It is just one of the tree-growing environmental options farmers will have to help them achieve CAP payment compliance after 2020, with minimal interference into existing farming enterprises. 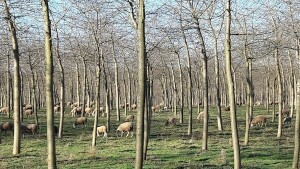 Unlike their European counterparts, many Irish farmers have an inherent reluctance to plant forests. This has been borne out in surveys conducted by COFORD and UCD, and recently in the annual Irish Examiner ICMSA poll, in which the 524 farmers surveyed were asked what was their main farming enterprise, and what would it be in 2025. None were in forestry, and none expected forestry to be their main enterprise in 2025. So it’s no surprise that Ireland is second only to the Netherlands for the lowest forestry cover in Europe. Since the early 1990s, successive governments provided good funding to incentivise forestry planting, with the stated objective of increasing forestry cover in Ireland to 18% of the usable land mass. Yet, almost three decades on, Ireland is still stuck with 11% forestry cover. Apart from the vast economic value of forestry, including a vibrant timber industry, there is also a significant sequestration value in forestry as a carbon sink to store carbon dioxide emissions from the atmosphere. Forestry minister for state Andrew Doyle has, on a number of occasions, ruefully concluded that farmers view forestry planting as a personal failure, or as an indication that they are throwing in the towel as farmers. However, farmers in the past had no opportunity to acquire knowledge about forestry growing. And given that we all fear the unknown, it is far more likely lack of knowledge is the root cause for the level of negativity among some farmers towards forestry today. It was only recently that Teagasc announced plans for including a forestry module in all future Teagasc Certificate courses in Agriculture. Up to now, generations of young farmers passed through the Green Cert programme without the opportunity to learn about forestry as a viable land use option. It’s ironic that even as the government made significant investments in incentivising forestry, no effort was made to educate farmers about the merits of forestry. Clearly, if forestry was included in the Green Cert course decades ago, when the Green Cert was first introduced, younger farmers in particular, would be well versed and much better informed about the importance of forestry as a viable land use option. Apart from forestry and trees, there aren’t many other environmental measures that farmers can take up to offset farming’s greenhouse gas emissions. Realistically, forestry or trees in some form have to be part of any overall effort for environmental compliance and for off-setting farming GHG emissions in the future.